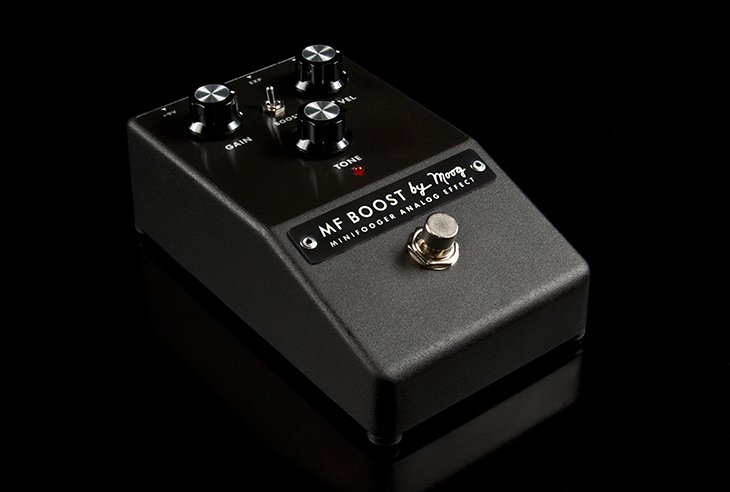 A family of affordable all-analog stompboxes should appeal to guitarists and bass players and … sort of everyone. I don’t know about you, but I’ve never witnessed a hotcake sale. I can’t say how “selling like hotcakes” goes down. Now we’re seeing more details of the affordable analog stompboxes from Moog. 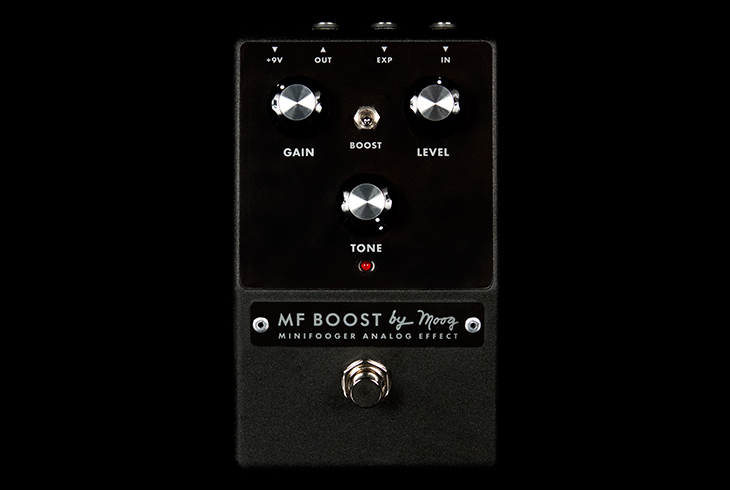 Looking like the ideal stomp effects for both musicians on a budget and the guitarist/bass player, these Minifoogers should sell as fast as hotc– well, as Minifoogers. 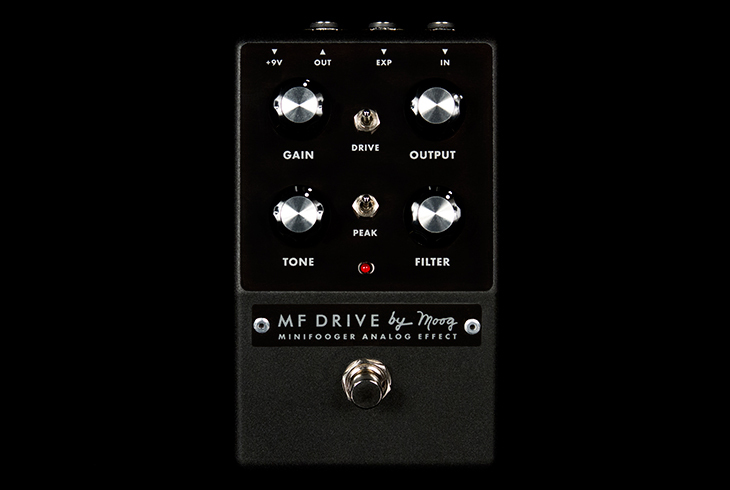 The MF Drive is a filter-based overdrive pedal employing a Moog Ladder Filter, boutique FET amplifiers, and OTAs in its drive section making it highly reactive to picking dynamics. The panel features a bipolar tone control and sweepable filter that work dynamically with input gain to offer each player unique and customizable sounds that retain the core timbre of their instrument. 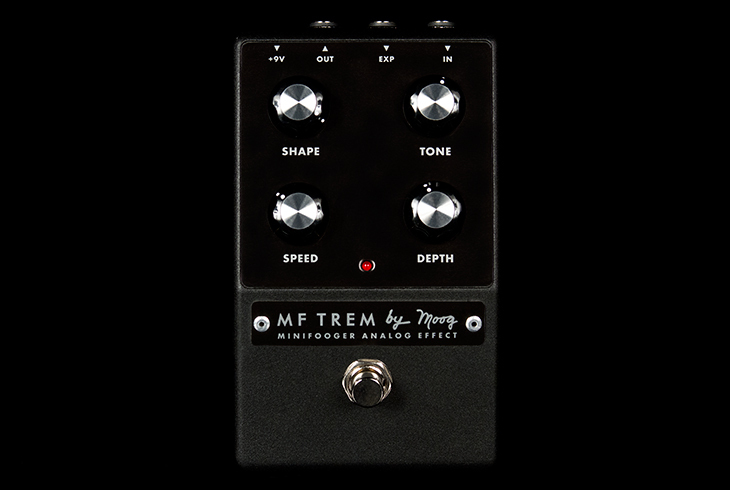 A filter Peak switch shifts harmonic content to the filter’s cutoff position, adding new tonal creation and dirty wah performance possibilities not found in other drive pedals. MSRP: $179. 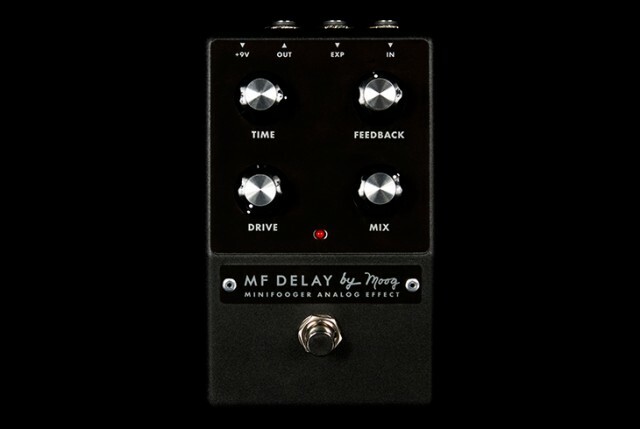 The MF Delay features 35 ms – 700 ms of completely analog delay time. At shorter set-tings, repeats are fast and bright for creating classic slap-back and plate sounds. At medium and long settings the repeats become darker and naturally trail into reverb-like state. 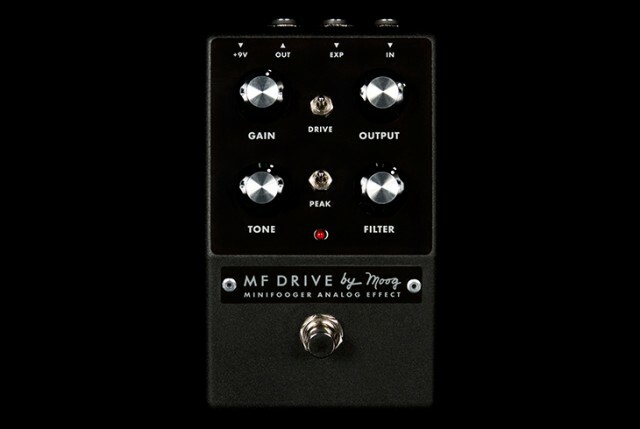 A Drive circuit allows the player to adjust the tone and feel of the MF Delay as well as overdrive the Bucket Brigade Delay line, and the input of a guitar amplifier for bigger sound and feel. Also, the expression pedal input is switchable between feedback for expressive swells and delay time for tape delay and chorus/flange effects. 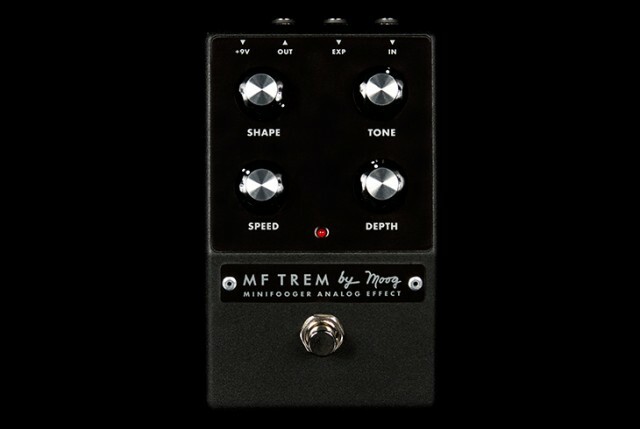 “Tremolo” also describes what happens to my credit card looking at these. 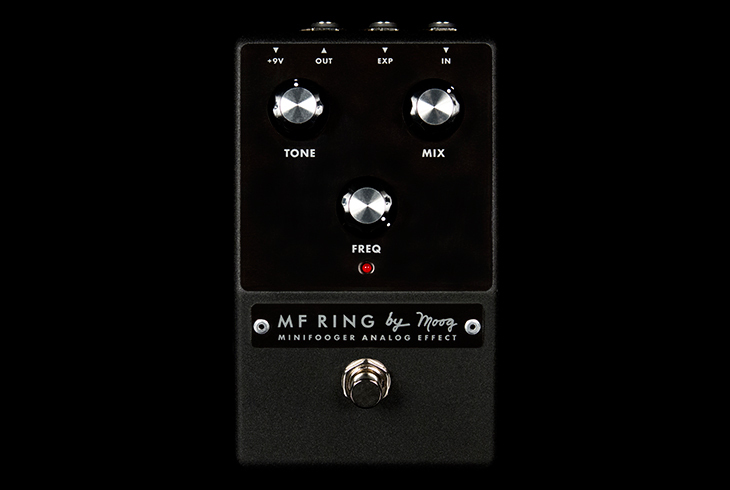 It is really nice to see Moog-style effects in a more affordable, accessible box, in units that appear to retain the maker’s sonic character and versatility. The units ship this month.